When students understand the general framework for a well-supported claim, they can more effectively present and support their own claims. Negative thinking can be broken down into two types of categories, avoiding this type of thinking starts with understanding its characteristics. Problem solving involves accomplishing a goal in spite of obstacles or limiting conditions. If a student is creating a model and doesn’t have the materials she needs, lack of materials is an obstacle to the accomplishment of the goal. Cultivate a growth mindset to create confidence in student achievement. Understanding basic relationships between ideas and words is a fundamental language skill that many students have naturally. Both controversy and conflict are inevitable in life, and students who understand how to approach both will have more successful interactions. 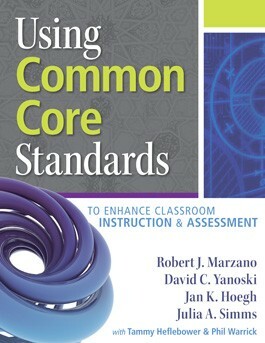 In order to focus their instruction, teachers can identify the essential concepts and skills in the standards. Organizing the CCSS into measurement topics allows teachers to easily see the progression of knowledge from one grade level to the next. For example, a student initially demonstrates a fixed mindset regarding public speaking, expressing her belief that she will never be able to overcome her stage fright. The teacher helps the student identify this belief as a characteristic of a fixed mindset by showing the student famous people who have successfully overcome stage fright. Then, the teacher asks the student to give a short presentation for two or three friends. The teacher will listen to the presentation and give effort-based feedback to the student to instill confidence and cultivate a growth mindset to speak in front of a larger group of peers (pp. 39–40). Identify the goal you are trying to accomplish. Identify obstacles or limiting conditions. Determine how each obstacle or limiting condition is preventing the accomplishment of the goal. Identify multiple ways (solutions) to overcome each obstacle or meet each limiting condition. Select the best solutions and apply them. If a student is told that his homework is due on March 24, he will probably understand there is a time relationship between his homework and March 24. Alternatively, if a student is told that he was given an incomplete because he didn’t turn his homework in, he will probably understand that there is a causal relationship between the incomplete and not turning in his homework. The four basic types of relationships that normally occur between ideas are summarized below (pp. 35–36). Time She walked away before he arrived. Cause She woke up because the alarm buzzed. Addition He is blond, and he is handsome. Contrast He is fast but doesn't like to play sports. Claims are usually supported by grounds and backing. Grounds are considered common knowledge, and to support a claim properly, a student must provide grounds with related backing or additional supporting information. For example, the student would provide a statement with an expert opinion as the grounds and the credentials of the expert to support the claim as backing (p. 29). Controversy occurs when two people with different beliefs disagree; conflict occurs when one person is getting in the way of another’s goals. If two group members have different ideas about how to accomplish a task, they are engaged in controversy. If both groups need the same book for research, they are engaged in conflict. Teachers can point out that both are inevitable and students have choices about how they react. Controversy is usually beneficial because it leads to more idea sharing, while conflict should be resolved quickly (p. 44). This single standard includes three sentences and at least eight different elements of knowledge and skill as shown in Table 3.1 (pp. 47–48). A measurement topic refers to a category of knowledge or skills that usually extends across several grade levels. For example, in ELA the second standard for Reading Literature (RL) and Reading Information Text (RI) at every grade level addresses the topic of themes and central ideas. Therefore, we included the second RL and RI standard at each grade level in the Themes and Central Ideas measurement topic (p. 51).